I thought I would leave the bouquet last because I want to make sure that my parents and future in law had their buttonhole flowers ready but what sort of design? 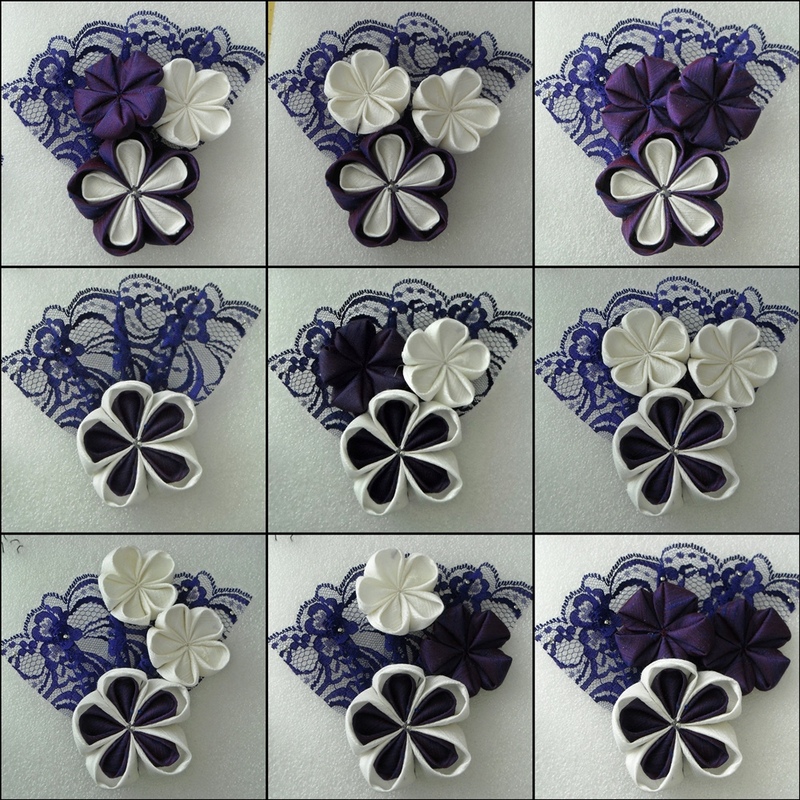 Previously, I just wanted to use the kanzashi but I have this lovely lace which is calling me to use it. Therefore I thought of the following designs. As you can see there is a common theme. 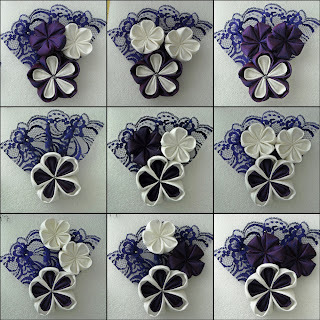 One big flower with a purple lace fan at the back but how should I make use of the smaller flowers? There was a lot of hmmmm and arrrrrrr at this point so time to ask my partner what he thought. My previous design did not appeal to his eyes but as soon as I added the lace he said the overall design was less girly. Those were his words by the way not mine! So we deliberated and here are the winning designs! The first one is for the groom, best man and groom's mother. While this one will be for my parents and my maid of honour. For the maid of honour I plan to attach it onto a hairclip but I will ask for her opinion. I have to make sure that I am doing the fabric justice! It is too lovely.